Red with laser-engraved Swaggerty's Farm logo. Includes USB connector cable. UL Listed. 1500 mAh. 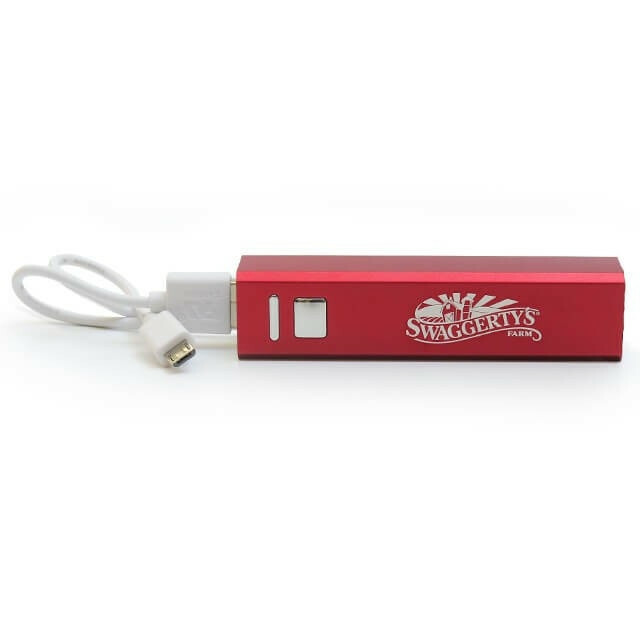 With our handy dandy portable charger, you'll always have backup power for your technology.